Roses from Bloomex always make for an amazing gift, and with deals like our half-price rose specials, there's never been a better time to send some roses to that someone special. We at Bloomex sometimes get inquiries about roses showing up not looking 100% ready for presentation. It's really just a matter of following these easy, step-by-step instructions -- do so and they'll be perfect in no time. 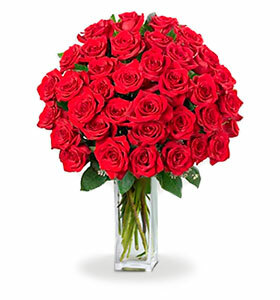 All our long stem roses come from Ecuador and Colombia. 1) Remove the outside guard petals. These rugged outer petals were left on to protect your roses during shipment. 2) Cut 2-3 cm off the stems and remove leaves and thorns that fall below the water line. 3) Fill vase with cold water and add 1 packet of flower food. Pretty simple stuff, huh? Don't forget to remove those guard petals, and the rest should perk up from there. With that in mind, check out some beautiful roses here, with bouquets starting at $19.99 from Bloomex, your trusted Canadian florist.